This is a sponsored post but the words, opinions and photography are 100% ours. 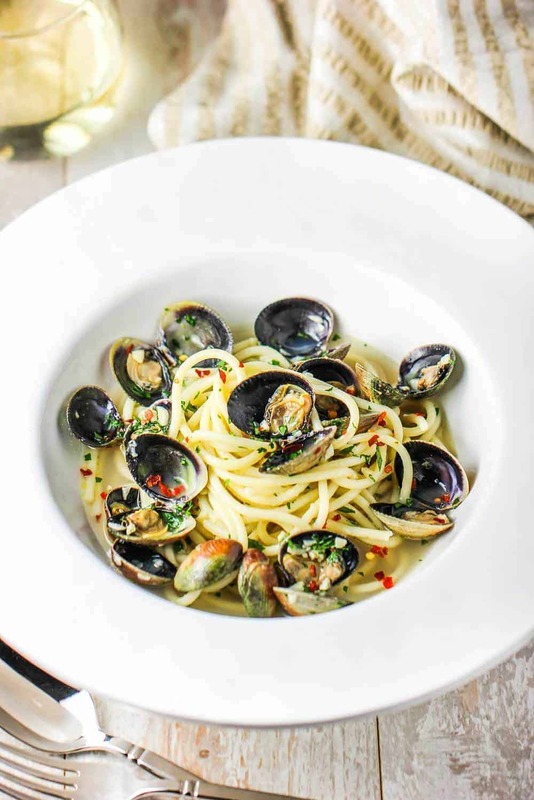 Spaghetti Vongole (Vongole is Italian for “with clams”) is a an absolute spectacular dish. It relies on just a few fresh, high-quality ingredients and a straight-forward approach in preparation. This is our second recipe in our #FreshFishFridays series that we are presenting in partnership with Citarella Gourmet Foods. 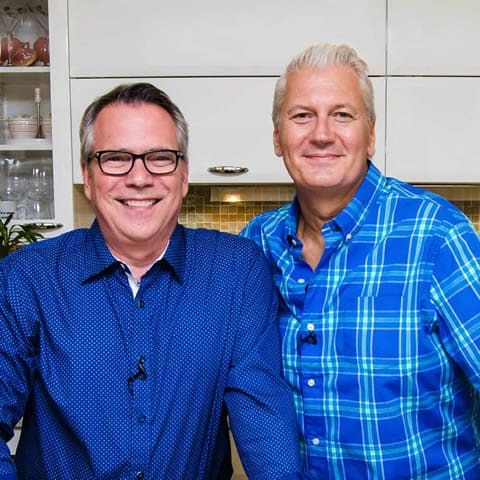 The recipe, along with expert guidance, comes from Citarella owner Joe Gurrera and his astounding cookbook: Joe Knows Fish. Folks…this is no joke. We received all the ingredients from our amazing friends at Citarella. And as we were preparing the dish, it was such a reminder to us that quality really does matter. The ingredients were expertly packed and the produce seemed as though it had just come from the garden. Fresh parsley, vibrant and bursting with flavor. Even the head of garlic was nice and big, and so FRESH. 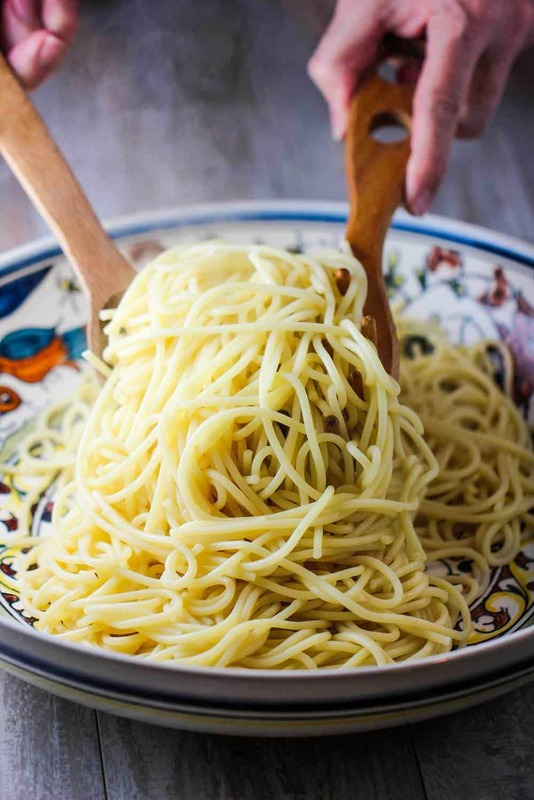 The spaghetti was imported from Italy (for Citarella) and was a beautiful semolina Durham spaghetti that was like a dream. And we are not kidding when we you tell you these are simply the freshest clams in the world. They are gorgeous raw New Zealand cockles, again, carefully packed and chilled for the shipment across the country. Even the red pepper flakes were incredible! Amazing. After rinsing the cockles thoroughly with water to remove any excess sand, we started on the pasta. Once the salted water reached a rolling boil, we lowered in the pasta. The pasta is best when al dente, just a little ‘bite’ to the spaghetti. This only took about 10 minutes, then we drained and placed in the large bowl. Now, it may seem like 16 cloves of garlic is a lot of garlic for this dish. It is. But in a good way. A really good way. You see, that’s partly what makes the dish so spectacular. Joe says “Vongole is garlic, olive oil, clams, and white wine. That’s it. Nothing else.” Oh, and a dash of red pepper flakes never hurts either. Oh, and very important: NO cheese or butter! 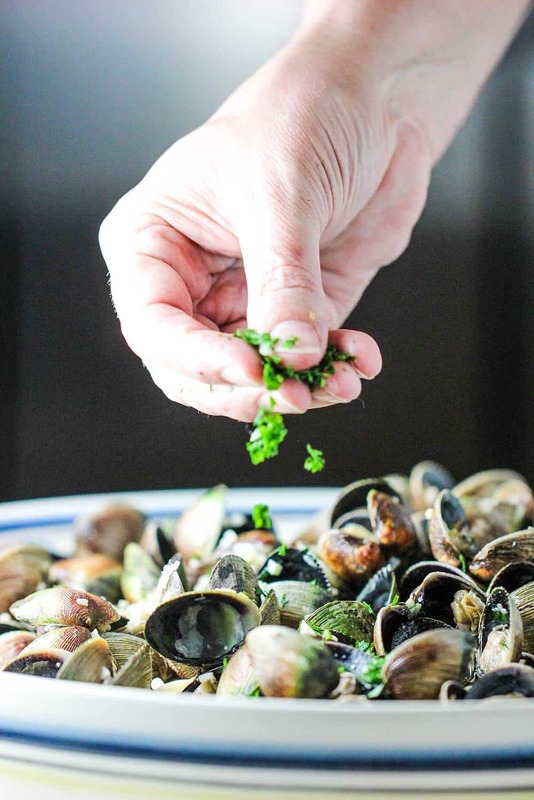 Add the clams to the sautéed garlic and then add a little dry white wine…and now you’re on your way to something truly special. Joe recommends going with cockles for this dish because they are small and delicate. We love them because they are divinely scrumptious. They are also beautiful as their shells have an attractive, slight greenish hue. If you can’t find cockles, (which you certainly can with Citarella! 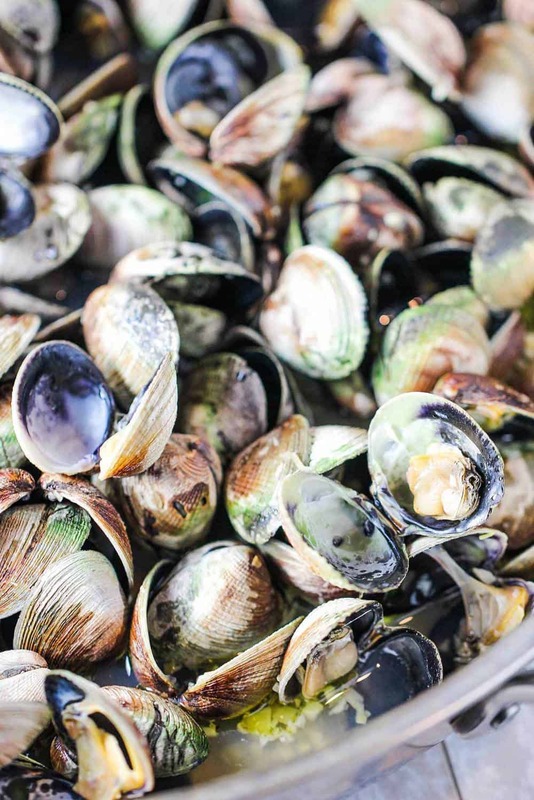 ), then you can substitute littleneck clams. 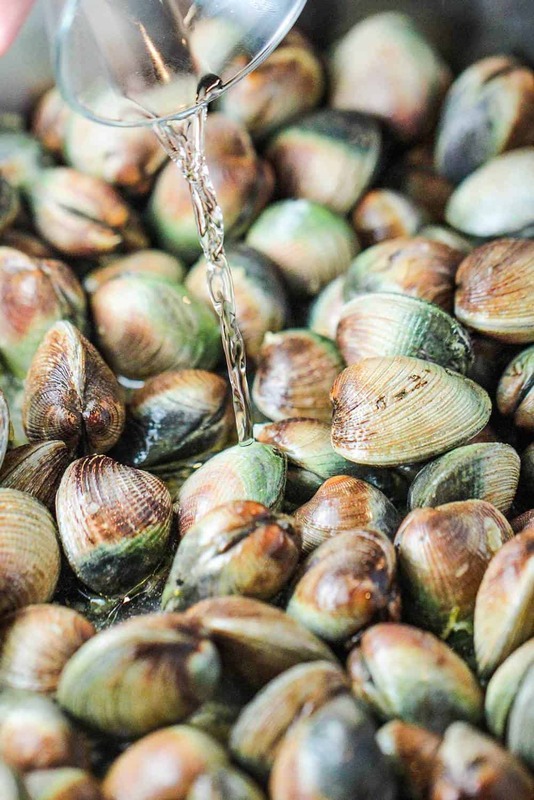 After steaming the clams for about 8 minutes…they open up and are GORGEOUS! 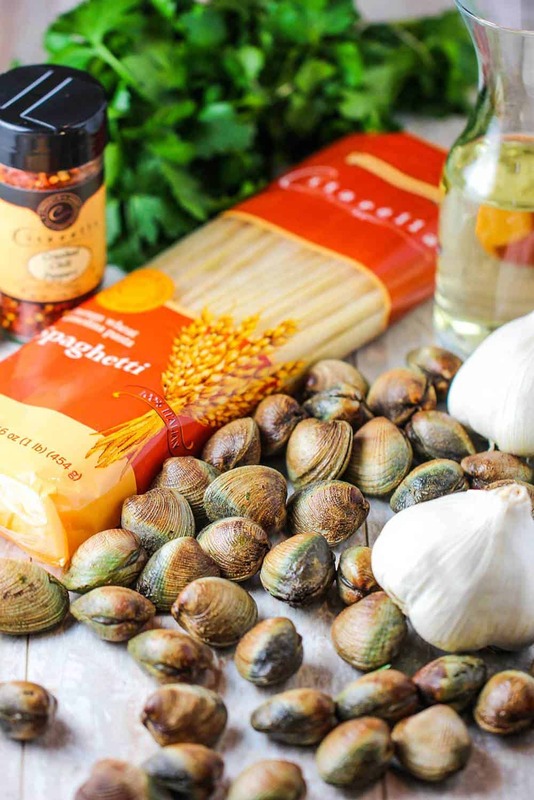 After carefully adding the steamed clams and the cooking liquid to the prepared pasta, add some chopped fresh flat-leaf parsley. By this point, you will be witnessing one of the most amazing pasta dishes you’ve ever created. Divine. Want another absolutely stunning seafood dish from Joe Knows Fish? Yes? Well here you go: Sautéed Wild Striped Bass with Roasted Fennel and Corn & Tomato Salad. At this point, the dish is ready for serving. We started in a nice beautiful pasta bowl and then gently mixed everything together. The smell was heavenly and the dish looked glorious. 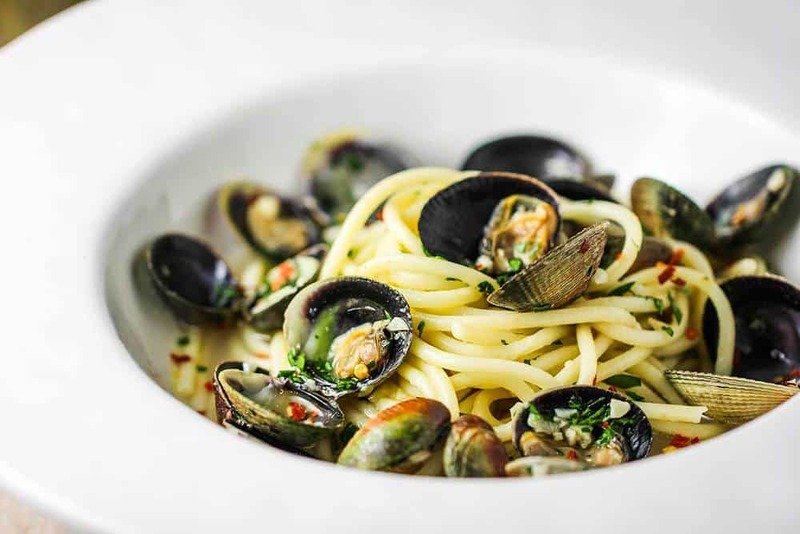 Spaghetti Vongole is seafood pasta at its very best. The cockles are perfectly cooked and scented with garlic and white wine. 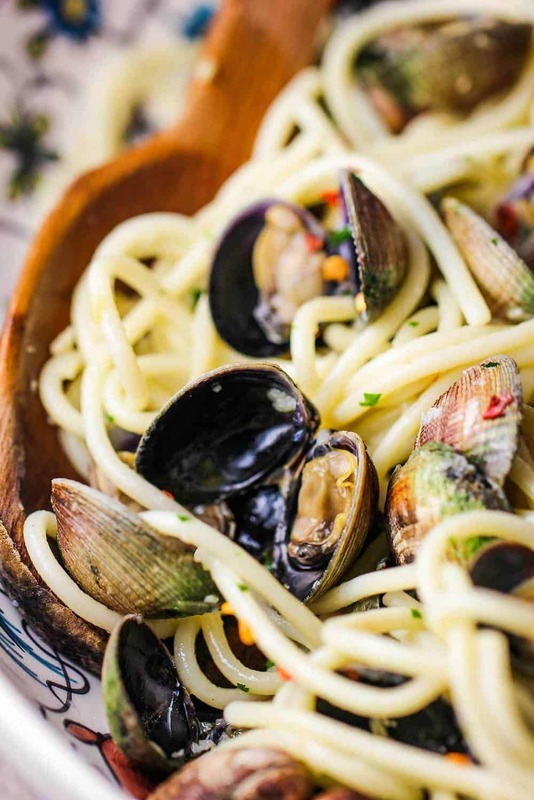 The pasta is al dente and is the perfect match to the clams and sauce. This is truly authentic Southern Italian fare. For plating, we divided the pasta between four shallow bowls, adding more clams in their shells and a few spoonfuls of broth on top of each. Fortunately for us, it was just us this evening…which meant we got 2 bowls of one of the best seafood pasta dishes we’ve ever encountered, let alone made at home. 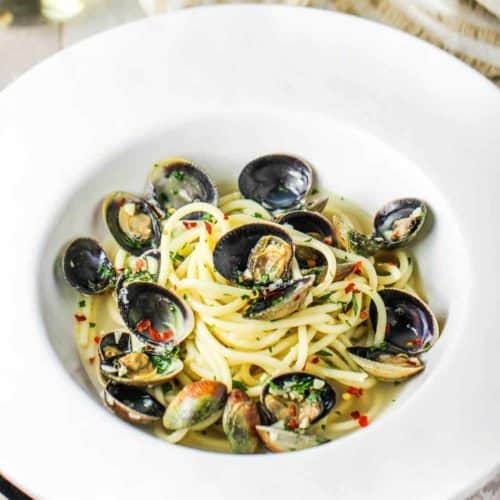 Folks, let us tell you again what makes this Spaghetti Vongole superior: Fresh, high quality ingredients and a simple, yet perfect approach to preparing the dish. Arm yourself with Joe Knows Fish and get the ingredients from Citarella, one of the best gourmet food markets on the planet. You will NOT be disappointed. NOTE: Only seafood products can be ordered online. To have the other wonderful ingredients shipped with your seafood, call 212-874-0383 and ask to have any of the ingredients listed in the recipe shipped to you. The expert Customer Care Team will take it from there! 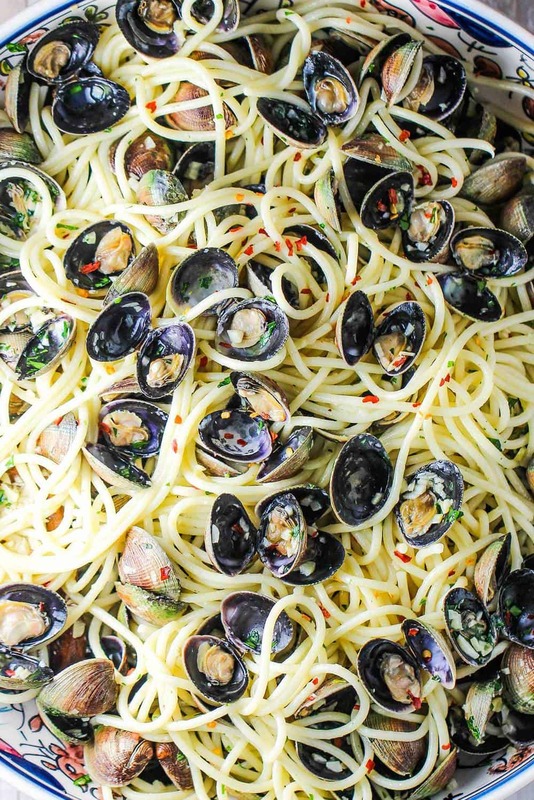 This Spaghetti Vongole (aka Pasta with Clams) is one for the record books. Just a few top-quality ingredients, and a straight-forward approach to preparation makes a stunning dish in taste and presentation. 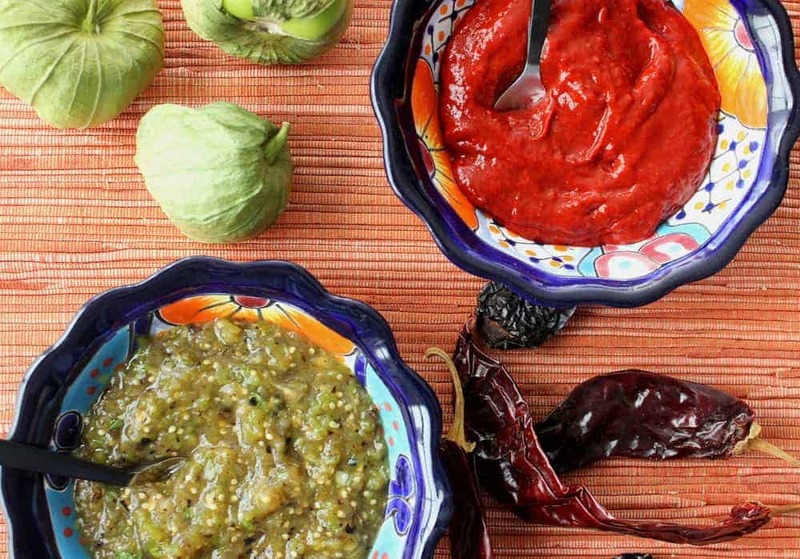 This is one recipe you and your loved ones will be talking about for a long time. Rinse the cockles or clams thoroughly, making sure no sand remains. Set aside. Bring a large pot of water to a boil. Add the spaghetti and salt and cook according to the package instructions until al dente. Drain and set aside in a large serving bowl or pasta pot. Meanwhile, coat the bottom of a large, heavy saucepan or Dutch oven with the olive oil. Add the garlic and heat the pan over low, stirring frequently, until the garlic just starts to turn golden, about 3 minutes. Gently spoon the open cockles in their shells and the cooking liquid over the pasta in the reserved bowl or pot. Add the parsley and gently toss until the pasta is thoroughly coated with the broth. Sprinkle with pepper flakes if desired. Divide the pasta between 4 shallow bowls and top with the cockles in their shells and a few spoonfuls of broth. Serve immediately. This post is kindly sponsored by Citarella but the opinions and photography are 100% ours.